This is a 2 hour long video series covering all the basics to getting started with Arduino including Arduino software instillation, understanding circuit diagrams, solderless wiring, and a guide to the most common Arduino peripherals. 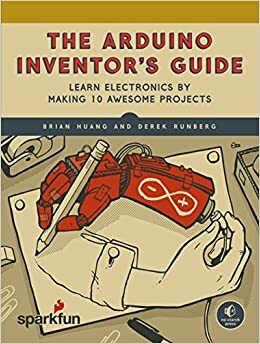 A basic guide to getting started with Arduino from a maker's perspective. Take a look around the rest of the blog too - there are some great project ideas there. SparkFun have created a number of tutorials to get you started with Arduino equivalent tech such as the RedBoard. This one is a good place to start. The following e-Books are available to UTS staff and students via UTS Library. Some are also available to borrow as hardcopy books. Huang, B. and Runberg, D. 2017. Shi, Y. and Mohite, S. 2017.